Tierra Healthcare doctors provide medical evaluations and authorize Medical Marijuana Cards for patients who qualify. Face-to-face visit with a specialty trained physician. Physician-approved use of medical marijuana. Department of Health requirement to purchase and use medical marijuana. 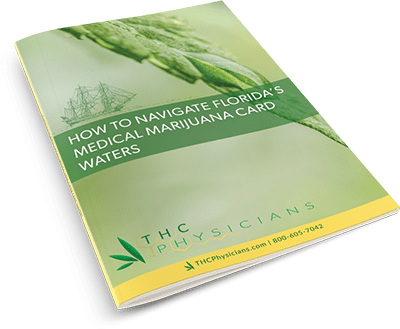 In this free eBook, How to Navigate Florida’s Medical Marijuana Card Waters, you’ll find in-depth information on Florida medical marijuana and determine if it is right for you. LOOKING FOR A MEDICAL MARIJUANA DISPENSARY NEAR YOU? Use our interactive map and comprehensive guide to see the most up-to-date list of Florida medical marijuana dispensaries. After you become a patient of THC Physicians and become eligible for your MMJ Card, you can then visit a dispensary to purchase medical marijuana based on your doctor’s recommendation. The Compassionate Medical Cannabis Act was signed into law on June 16, 2014 (Chapter 381.986, Florida Statutes) allowing physicians licensed under Chapter 458 and 459 of the Florida Statutes to recommend the use of non-smoked low-THC (tetrahydrocannabinol) cannabis to qualified patients. The Florida Department of Health required patients to meet specific requirements in order to qualify for the use of low-THC cannabis. This law allowed limited medical marijuana use in the state of Florida; it did not fully legalize it. Amendment 2 went on the November 2016 ballot and was approved by an overwhelming 70% of the Florida voters. The passing of Amendment 2 legalized medical marijuana use in the State of Florida. The new law became effective January 3, 2017 and vastly expanded the list of chronic conditions approved for medical marijuana use in the state of Florida. Amendment 2 requires the Florida Department of Health to set regulations for the issuance of identification cards, qualifications and standards of care givers, and rules for the registration of medical marijuana treatment centers within six months of the effective date.